Look classy and make an impact on your entrance, now its time for you to shine. 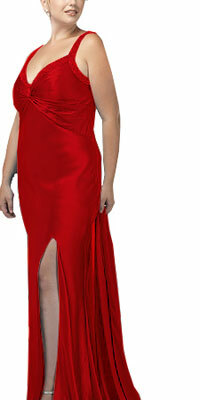 The glamorous plus size dress looks splendid for every event. It features an embellished neckline which includes a stole adding grace and style to your wardrobe. The front slit on the straight skirt looks glamorous.